After eight years of capitulating to foreign interests under the Obama administration, it’s not surprising that Americans were ready for a president who said he wanted to put America first again. Donald Trump was elected, based on his promise to “Make America Great Again,” but he’s had a rough six months in office. So, a grassroots organization is planning a series of “AMERICA FIRST” rallies to show their support for Trump and his policies next month. The rallies will also be held in remembrance of the 9/11 terrorist attacks. “Our nation made a vow after 9/11/2001 to ‘Never Forget,’ but remembrance, while a necessary debt, is not a sufficient one. We as Americans must also raise our voices when our nation remains vulnerable to recurring threats,” said Brigitte Gabriel, founder of ACT for America. In addition to remembering 9/11 and those lost on that day, the rallies will call for Americans to support specific policies, many of which have been championed by Donald Trump. Those policies include securing our borders to prevent illegal immigration, defeating terrorist groups like ISIS and Al Qaeda, officially designating the Muslim Brotherhood as a terrorist organization, ensuring proper vetting of refugees and respecting police officers and our military. The goal of the rallies and of these policies is to strengthen America’s national security. 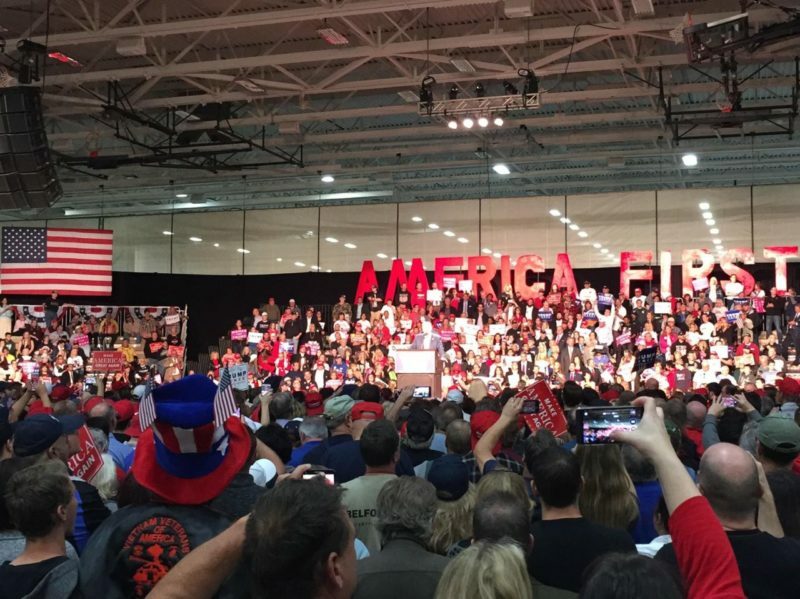 It has not yet been announced which cities the rallies will be held in, but those interested can sign up on the Act for America website to receive notifications when the locations are announced. Do you support these national security policies?